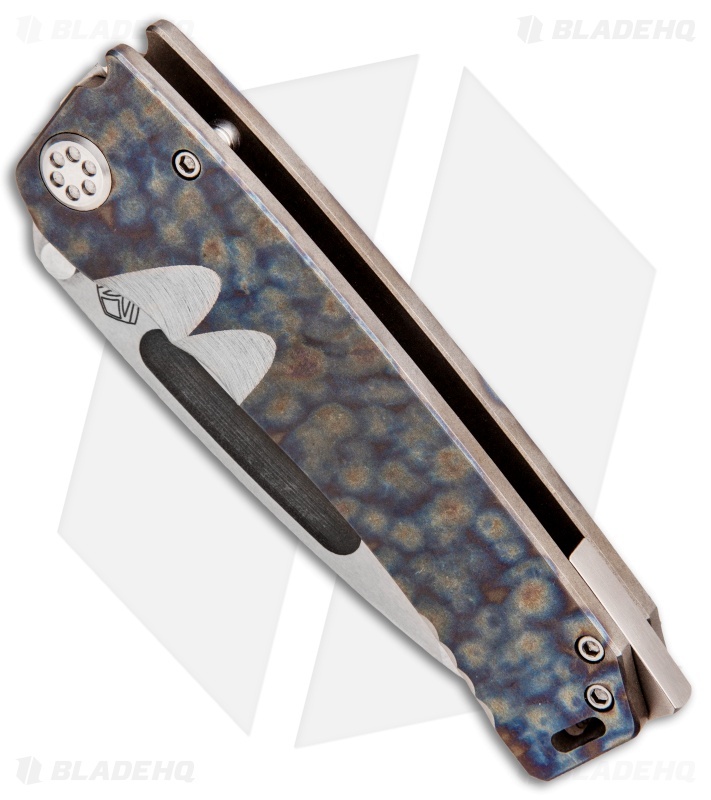 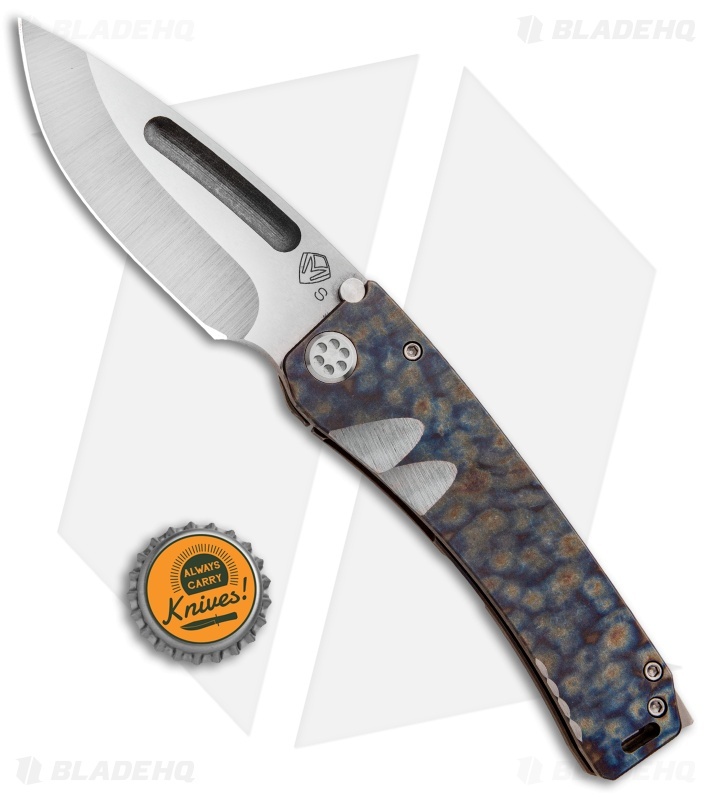 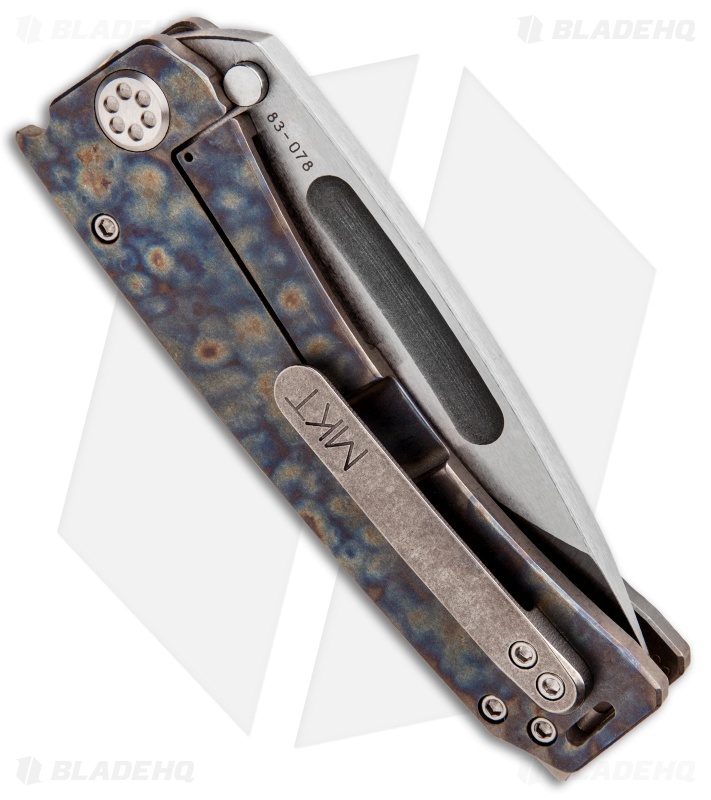 This custom Marauder features a flamed titanium frame lock handle with standard hardware. Its drop point blade is made from thick CPM-S35VN stainless steel with a tumbled finish and a deep thumb groove opener. It comes outfitted with a stainless steel backspacer with striking tip, lanyard hole, and a secure tip-up carry pocket clip.